go into the dark you will find out that death has a lot of color, and a pulse! 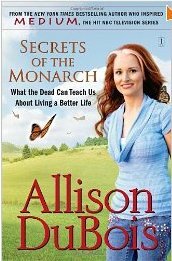 Through her ability to communicate directly with the dead, Allison DuBois relays the wants, desires and experiences of the deceased. The dead have their own world, but it is important to them to also remain a part of ours. How do I do it? What’s it like to hear the dead? This is how I start this book, and then I go through many examples of what it is like. I also discuss how to help children who have the ability. their own lives. Allison stresses that every person’s life is part of a bigger story, stretching past family and friends to neighbors, community members and society as a whole. By making the most of your life now, she says you can positively affect that story. After all, if you already know the story will end, why not make the content a true masterpiece?